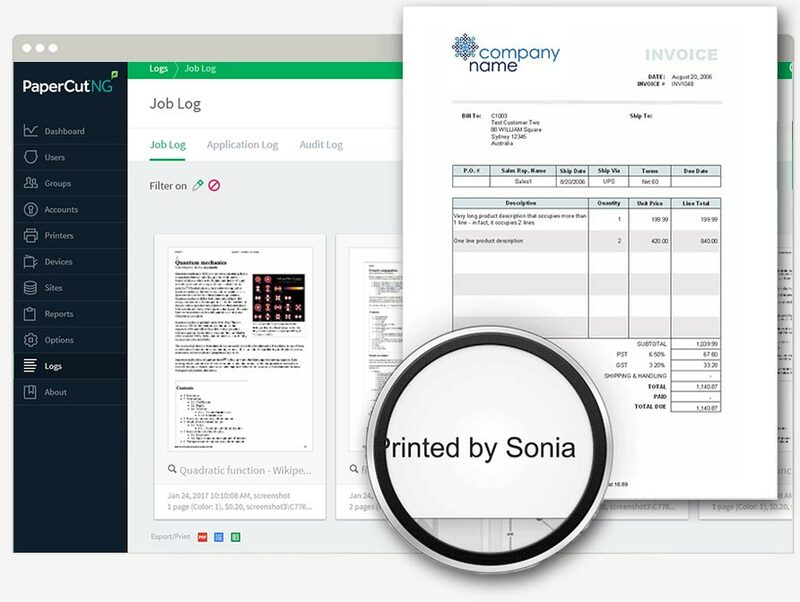 The print management application trusted by tens of thousands of schools and businesses. Get it up and running in minutes. 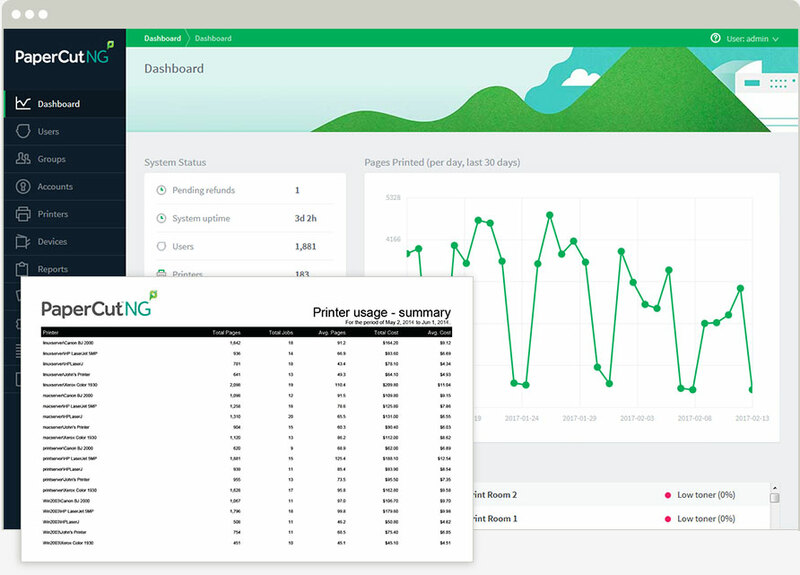 Customizable web interface to help educate end-users. 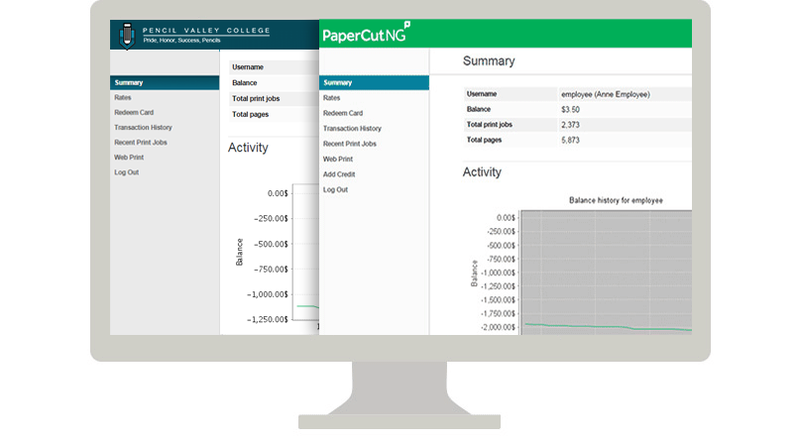 Ideal for students to monitor their spending, or staff to keep track of their paper usage and budgets. 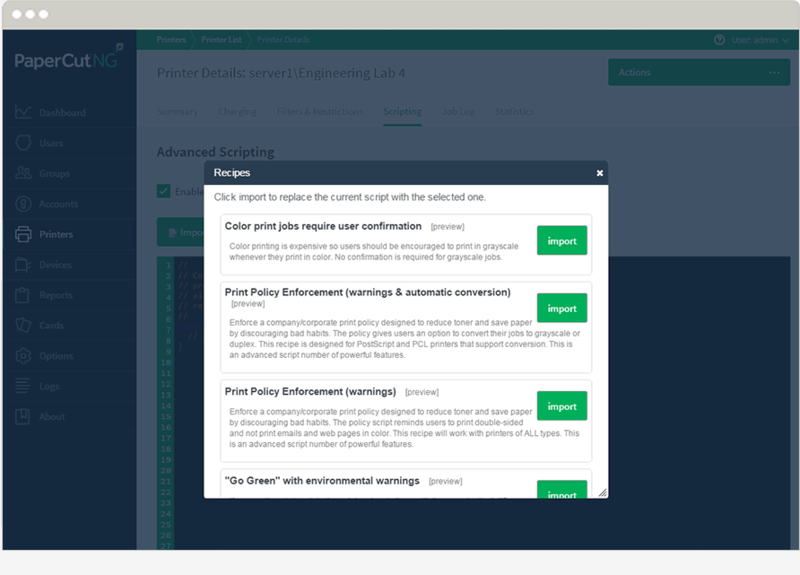 Enable the option environmental impact end-user view. Encourage user behavior change through awareness. Deploy as a web link, or via an updating Windows Live Tile. 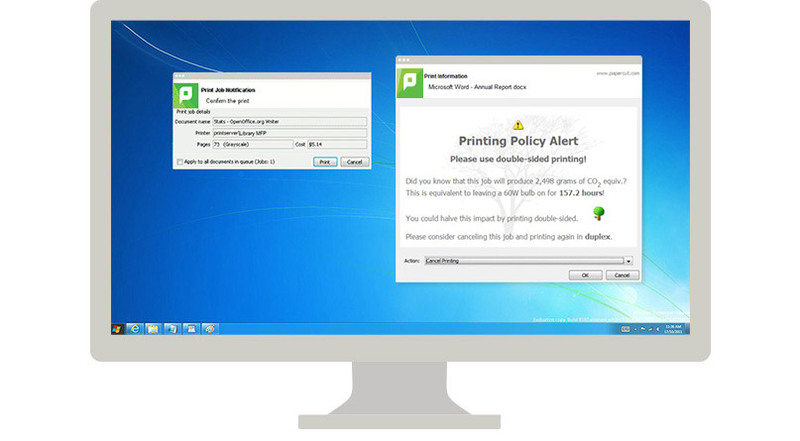 Configure popup alerts around printing. It may be a simple dialog prompting to allocate costs to a department or project, or a more active "confirm" message to discourage printing emails! Licensing is a one-time fee, based on the number of users with no limit on the number of servers, workstations, or printers. One single license can be used across multiple sites, and there are no mandatory yearly contracts or fees. 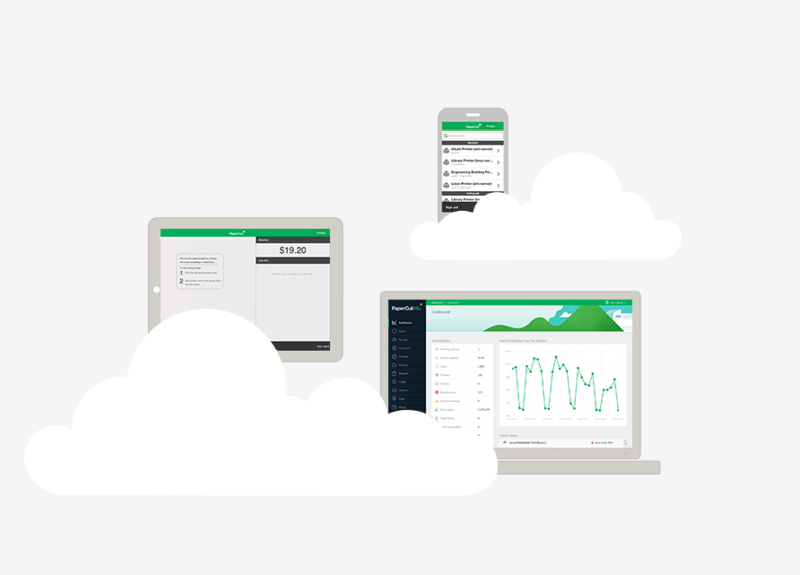 Scalable and customizable for your specific business needs, starting from 5 users. A one off payment to suit the number of users in your business. Commercial Business with the addition of advanced client software for professional services. A one off payment to suit the number of users in your business. Designed for the smallest school to the largest multi-campus university, from 5 users to hundreds of thousands. A one off payment to suit the number of staff and students at your facility. Check out the purchasing FAQs. Minor upgrades (e.g. 19.0 to 19.1) are always free. Check out the upgrade pricing for more information. Use the ROI calculator to work out your savings. PaperCut NG runs on all major operating systems including Windows, Mac, Linux, and Novell. 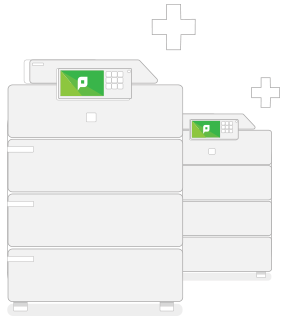 When you want to extend the power of print management to copying, scanning and faxing upgrade to PaperCut MF anytime.